Build muscle & get toned with SelectTech® Dumbbell exercises. The variety you need. The exercises you want. Here are a few of our favorite dumbbell exercises from our Trainer App to help you get tight abs, firm legs, sculpted arms and a strong chest. Keep elbows bent and hold dumbbells at chest level. Perform a squat with arms in a boxer-ready position. When you come up, punch across your body in a corkscrew motion. Return to a squat position and come out punching with the opposite hand. Hold dumbbells at arm's length with your palms facing inwards. Squeeze the biceps to bring your wrists towards your shoulders, while your palms rotate to face upwards. Hold one dumbbell with both hands at your chest. Step forward into a lunge. Pause and turn your chest, holding the dumbbell close. Return to center and push yourself back up to the starting position. Hold a pair of dumbbells at arm's length. With hips back and chest open, bend at your hips so that you're approximately 90° to the ground. With elbows slightly bent, slowly lift the weights until your hands reach shoulder level. Hold a pair of dumbbells at shoulder height with your elbows bent. As you return to the starting position, raise the dumbbells pressing them over your head. Hold a dumbbell in one hand. Step forward with the opposite foot. Keeping the legs straight, bend forward reaching toward your ankle with the weight. Push back to a standing position; raise your arm overhead until it is even with your ears. Hold a pair of dumbbells at arm's length with palms facing towards your thighs. Bend at your hips and knees without allowing your lower back to round. Pull your torso back up, thrust your hips forward and stand up with the dumbbells. Lie on your back and hold a pair of dumbbells over your chest. With palms facing forward, lower the weights to the side of your chest and pause. Press the weights back up to the starting position. Lie with your back on the floor and with your legs slightly bent. Hold a dumbbell at chest level. Curl up until you are sitting with your chest lifted, while simultaneously pressing the dumbbell up and overhead until the arms are fully extended in a shoulder press. Start in a standing position. Push your hips back and bend at the knees. Lower your body into a squat then kick your legs back into a plank pushup position. Perform a pushup and spring back into a squatting position. Quickly stand up and/or jump while reaching your hands over your head. Hold a pair of dumbbells chest high with arms bent. With a short hooking motion punch up until the dumbbell passes by the side of your chin. 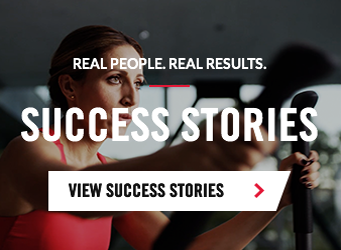 FREE TIPS, techniques, and full body exercise programs are available for each SelectTech® dumbbell to help you achieve the best results. Stay motivated and track your progress. Get unique workouts for every single day for 6 weeks. No repeats. No boredom. Big results! 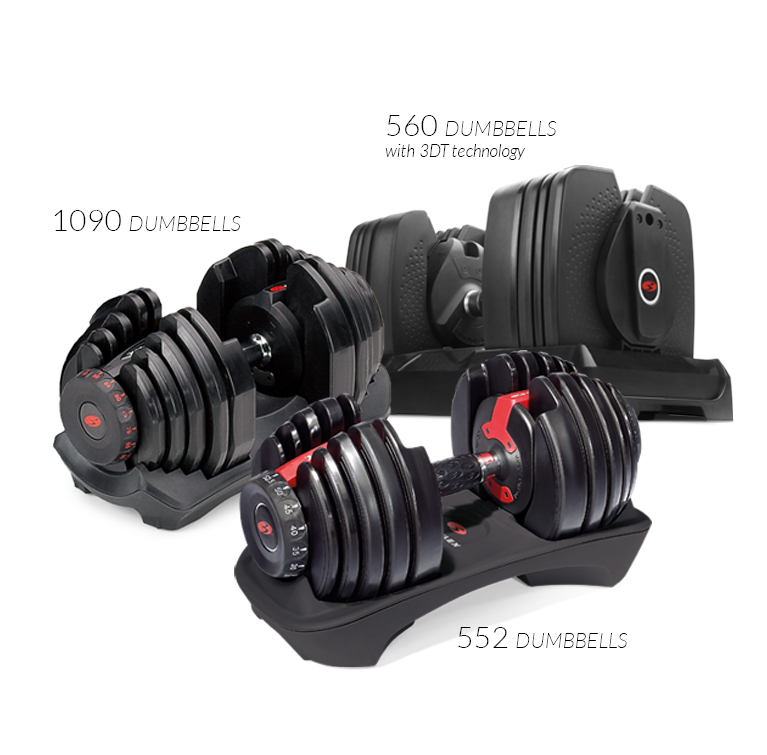 Learn which SelectTech® dumbbells are right for you.